Evaluation is the key to receiving the quality of product you desire. 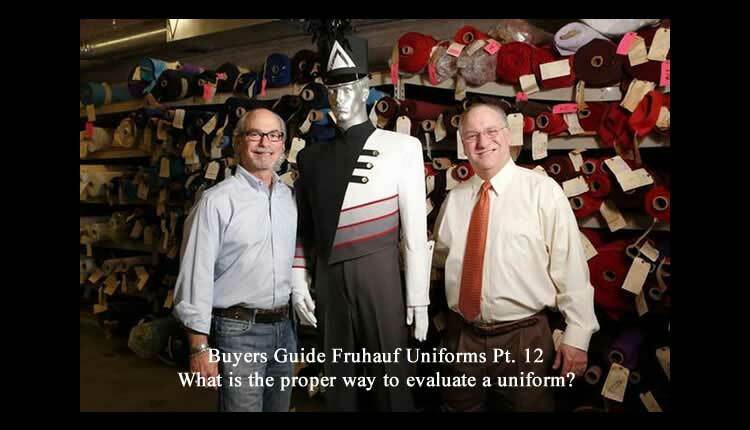 Through thorough evaluation, you can determine which uniform actually provides the “best buy”. The “best buy” cannot be determined by the lowest price, but rather by the lowest price offered by the company that meets the standards of construction you have outlined in your specifications. To determine which company provides what you want, you must conduct an evaluation. You should conduct your evaluation of quality and construction prior to the opening of the bids. This evaluation should be completed and a report prepared PRIOR to the actual opening of the bids. If you attempt to complete this task after the bids have been opened, your evaluation could be swayed by the dollar signs bouncing around in your head. The sole purpose of the evaluation is to determine the quality and make a recommendation based on quality, pricing will be added to your formula at the bid openings. The first step in the evaluation is the development of an evaluation committee. This group should include people knowledgeable of sewing and garment construction, however, not limited to these people. Anyone involved in the final decision should be involved if possible. You might want to include your home economics teacher, a local tailor, the booster club president, a school administrator, and even a school board member. This group will meet prior to the bid opening (usually about a week earlier), conduct the evaluation and make a recommendation of manufacturer based on construction. The basis for your evaluation is the construction specifications you sent each company. With seam rippers in hand, you should open the garments submitted by the companies (on the seams please!) And determine exactly how they make their suits, You are not responsible for closing the seams you open, we are submitting these samplesto you for evaluation, USE THEM! With our construction specifications in one hand and the sample uniform in the other, conduct your evaluation and determine the quality of each sample submitted. Even if a company did not provide an “exact” sample (one that meets your styling specifications), the sample submitted must represent their construction techniques and methods. By a thorough evaluation of the samples submitted, you can determine your manufacturer of choice. After you have completed the actual evaluation, take the time to prepare a written report of your findings. Have each member of your evaluation committee sign the report to indicate their support of the findings. Board members and administrators appreciate having such appraisals committed to paper. Such a presentation will facilitate their discussion, and it also gives your evaluation more credence. We have different forms that reflect Fruhauf construction techniques that you can use when conducting your evaluation and preparing your presentation. At the actual bid opening, make your recommendation of manufacturer prior to the opening of the bids. Your recommendation is made on the basis of evaluation of quality and becomes one element in the overall decision-making process.